DO Alella is the smallest of the Catalan DOs, even more so than, DO Pla de Bages with it having just over 300ha of vineyard land. Like other regions in Catalonia, vines have been cultivated here since the Roman times and wine has been made continuously, with the exception of time when phylloxera interrupted production throughout Europe. Once replanted on American rootstock, the region was used for a source of Cava grapes even after the establishment of the DO in 1956. While the majority of the territory is oriented directly on to the sea, there is also part of the region that is slightly more continental in weather which is called, Vallès. There is a great deal of white production focused upon White Grenache and Xarel·lo and then there are the reds focused on Grenache although a good number of other varieties both local and foreign have been allowed in over the years. With nine cellars within the DO and being a short 20 minutes from Barcelona, it’s one of the few regions in Catalonia very easy to visit for both locals as well as tourists who come to visit Catalonia’s capital. 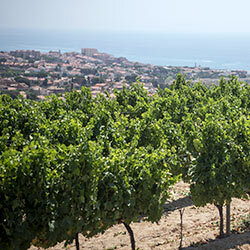 Please peruse more articles about the wines of DO Alella.